Need help sorting through internet images? Use a Visual Timeline! Do you have to do some visual research? Many projects ranging from Graphic Design to Concept Art require researching images. However, searching through piles of google images and other visual media can take a lot of time and effort. Make it easier on yourself by using a timeline! “Photo Timeline” is super fun. It allows you to search any subject by it’s visual appearance over the course of time. “Dipity” is another great way search images. Like Wikidpeadia, the viewers update the database; the difference is found in it’s layout. 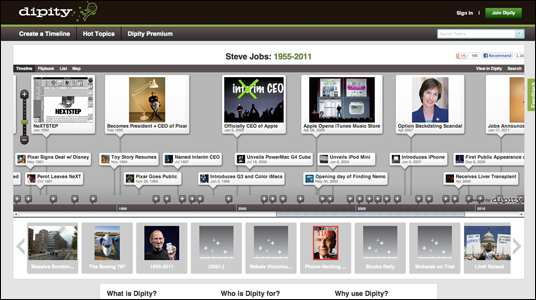 “Dipity” uses a visual timeline to layout all of the information you seek. 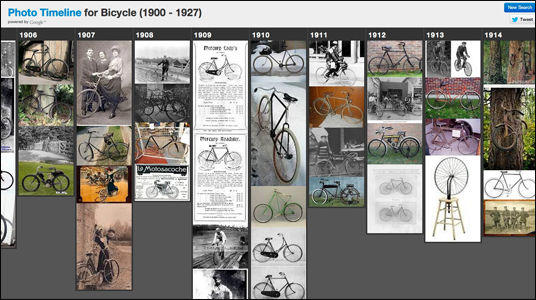 Visual timelines, a better way to search for the information you need. This entry was posted on Monday, July 2nd, 2012 at 6:57 amand is filed under . You can follow any responses to this entry through the RSS 2.0 feed. You can leave a response, or trackback from your own site.